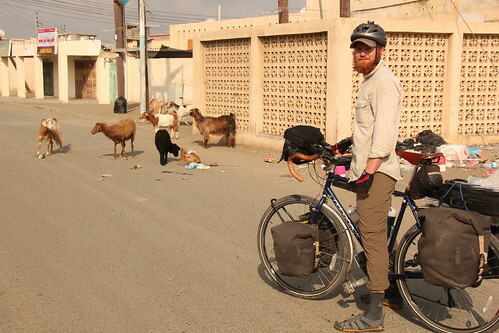 We cycled from Sharjah in the UAE, via Dubai, to Muscat in Oman. 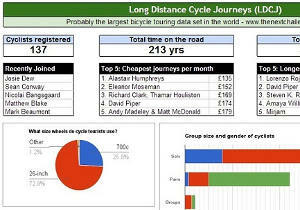 Although cycling is very popular with expats, few cycle tourists make it to this part of the world and it’s a shame. With wonderfully smooth roads (oil money put to good use), frequent cafes to rest at and plentiful opportunities for wild camping, in many ways it’s a cycle touring dream. Even the traffic can be avoided by following service roads and winding through villages which dot the coastline, although we were lucky enough to find a coastal road under construction, not yet open to cars but which was good enough to cycle on for most of the way. 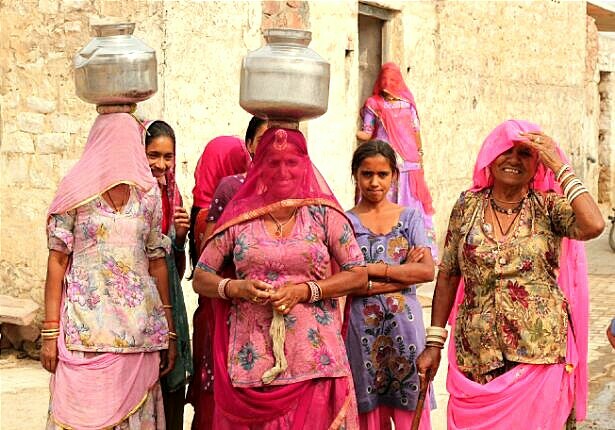 What follows is a few photographs of our journey. To view the full set and to see the other photos from our trip so far, click on this link. The skyscrapers and luxury hotels of Dubai were a bit of a shock after Iran. After a couple of weeks staying with friends, we left the extravagance of the city behind us and headed out into the desert. Dubai has a wonderful 85km cycle path on its outskirts. Apparently one of the sheikhs is into cycling and built it. That’s what every town needs – a benevolent rich prince who likes bikes. 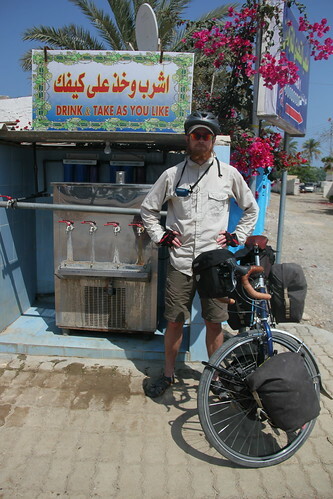 Half way, there is a lovely cafe and fancy bike shop to rival anything in London – quite surreal in the middle of the desert. 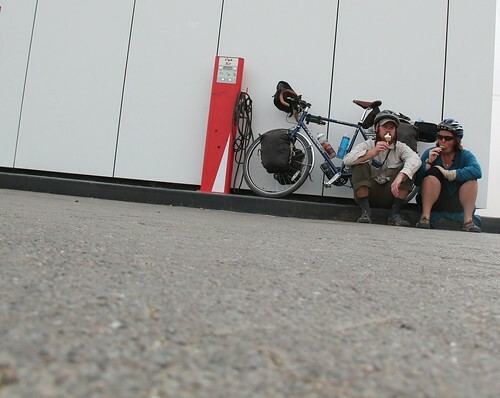 We stopped for some iced water and chatted to a couple of Emirates pilots out on their carbon fibre roadies, before carrying on past the stables where the sheikh keeps his prize race horses and camels. This was definitely the Middle East. Just off a major highway, we came across a group of Arabian tents amid some dunes. 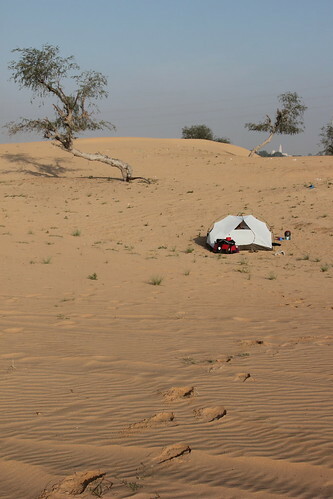 These Emiratis are not the wealthy oil and construction barons found in the cities: they have few material possessions and live in simple canvas tents. Once we pitched our own tiny tent, they appeared with plates of food and cups of sweet tea, repeated in the morning with thimblefuls of the strong cardamom-flavoured coffee found in this part of the world. 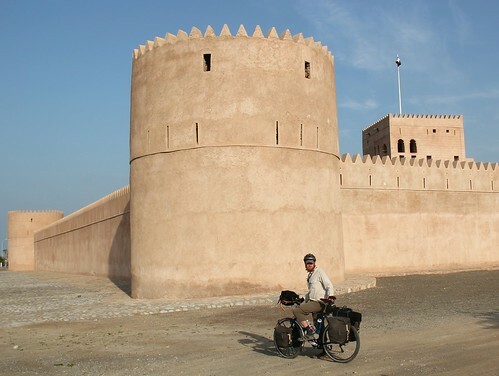 We lived in this part of the world for a few months and one of the best things about this cycling journey was the opportunity to meet the Emiratis and Omanis who live away from the cities: a totally different side to the place we’d experienced before. We gradually left the sandy deserts behind, heading to the low mountains of Hatta, on the border with Oman. On our first night in Oman, several groups of teenage boys approached us as we were making dinner on the beach. 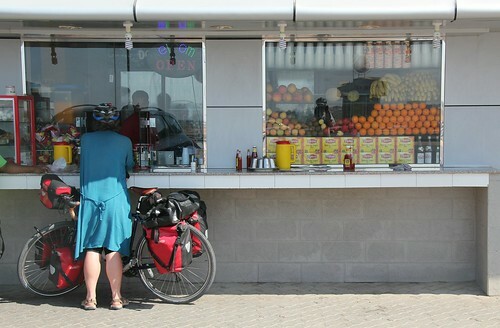 We expected trouble, but in fact they were checking we had everything we needed and recommended the local ice cream shop. Would teenage boys back home do the same? This man found us after we had eaten and took us home for the night. He has two wives and nineteen (!) children, but still found us a place to sleep. He was extremely proud of his fecundity, with good reason. 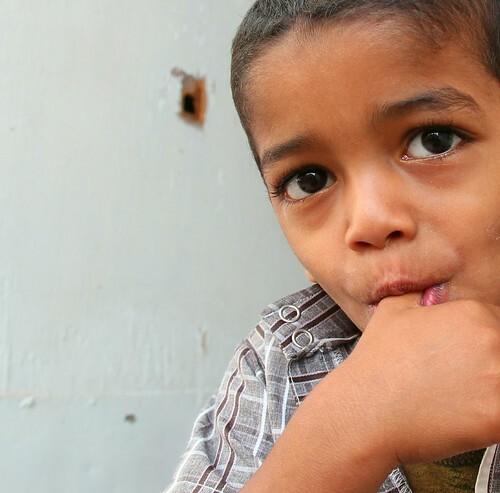 The youngest son of our first Omani host- a real cutie. Although we saw many camels, the most ubiquitous animal in the UAE and Oman is goats. They are everywhere. …and one on occasion, this very welcome water fountain. 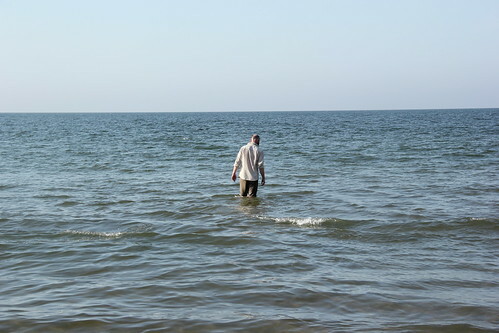 We eventually reached Muscat and enjoyed a welcome swim on what used to be our local beach. 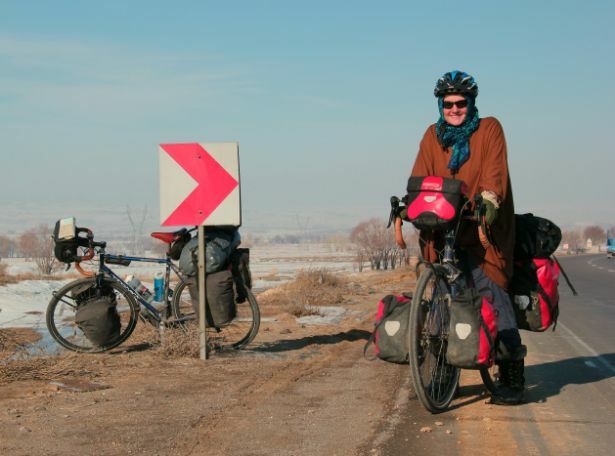 After a week of pedalling through the dust, full clothed was the only option. These are just a few of our photos from this part of our cycle journey. To view the full set and to see the other photos from our trip so far, click on this link.